While most humans generally find bathing an enjoyable experience–who doesn’t love a hot shower after a long day of yard work, or a cool shower after a vigorous workout?–that is not often the case for our canine companions, who actually often enjoy a little dirt and stink. Have you ever watched a dog gleefully roll in something utterly putrid? Bath time is likely not Bingo’s favorite activity, but there are means, methods, and products that can make the experience a bit less arduous and a bit more enjoyable for both of you. Helping to control allergies (both yours and your dog’s). Helping to prevent skin infections. There are many ways you may choose to get Clifford clean. Some dog parents prefer to bathe their dog at home, in their bathtub or shower, while others may bathe Fido outside, using a tub or hose. Others bathe their own dog, but at a Do-It-Yourself dog bathing facility. Finally, some pet parents opt to hire a groomer to bathe their dogs. There are drawbacks and advantages to each of these methods. If you opt to bathe your dog at home, you will need to make sure you have your own materials and equipment, such as shampoo, towels, etc. 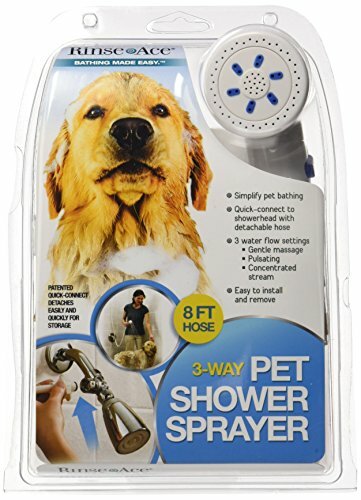 A shower sprayer, such as the one shown below, can also prove a very helpful, if not necessary, tool to help make the physical logistics of a dog bath easier. Bathing your dog inside may pose the risk of making a mess of your bathroom, but bathing him outside comes with risk, as well. Are you prepared to re-bathe Fido if he gets away and muddies himself, perhaps still wet and soapy, by romping through the yard? Can you guarantee that Rufus will not instantly roll around in the dust, dirt, and grass after you release him from his outdoor bath and before you have a chance to sufficiently dry him? Bathing your dog outside can pose uncomfortable at best and hazardous at worst during the extreme heat of summer or cold of winter. 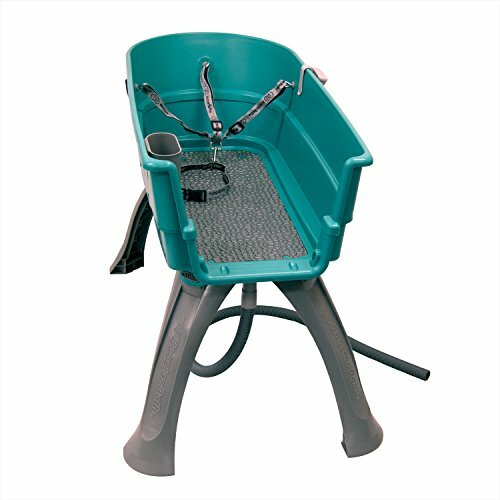 Whether you decide to bathe your dog inside or outside, if stooping down to the bathtub or ground proves challenging for you, an elevated dog tub like the one shown below can help, provided you are able to safely lift your dog into and out of it. If you cannot or do not wish to bathe your dog at home, many pet stores, specialty stores, and grooming facilities offer Do-It-Yourself doggy washes. Each facility is different, so understand what fees may be involved, and whether or not you need to bring your own soaps, shampoos, towels, etc. One of the benefits of using a doggy wash is the fact that you do not have to worry as much about a mess in your bathroom or yard; however, you will have to transport Fido to and from his bath. Finally, some dog parents prefer to take their dog to a groomer for his regular bath. This is a convenient way to get a consistent, thorough bath, but it does require a fee. To help ease the strain of bath time, if possible, it’s best to start Rover young. When he is a puppy, practice regular bathing, and provide positive reinforcement, such as treats, praise, and attention, each time he enters the bathing space. Positive reinforcement can help dogs of every age associate bathtime with fun. If your dog is anxious, and you plan to use the tub for bathing, filling the tub before your dog enters the bathroom is wise, as the noise of the running water may frighten a timid dog. Filling the tub prior to your dog’s entrance can decrease his stress. Brushing Bingo before bath time is one way to make the bath more effective and efficient, as well as to reduce the chances of clogging your drain. If you are still worried about dog hair in your drain or pipes, you can use steel wool in your tub drain to catch any excess hair. In addition, line your slippery tub with a no-slip rubber mat to help Fido maintain his footing as you bathe him. While people may use body wash or soap to clean their skin, dogs require dog shampoo. Resist any temptation you might feel to use human products, like baby shampoo or body wash, on your pooch. 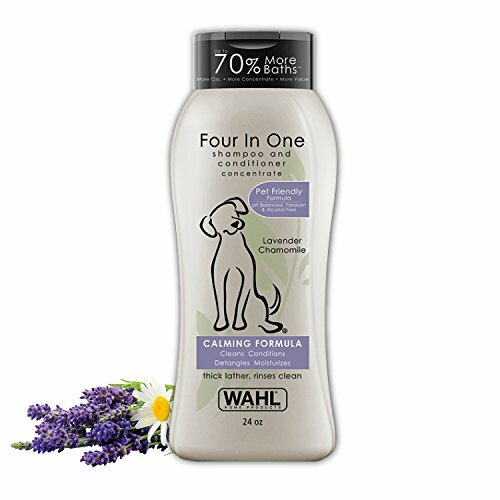 Pooches are not people, and our shampoo is adjusted to a different pH level than a dog shampoo will be. Using human products on your dog could result in discomfort, allergic reactions, or other undesirable consequences. One option for dog shampoo is shown below. 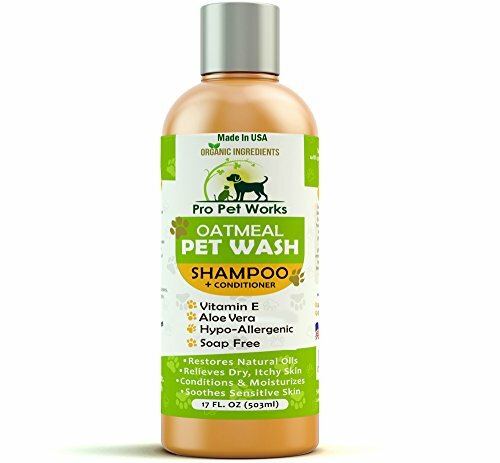 If your dog suffers from dry, itchy or sensitive skin, consider using a dog shampoo formulated especially for these conditions, such as the one shown below. 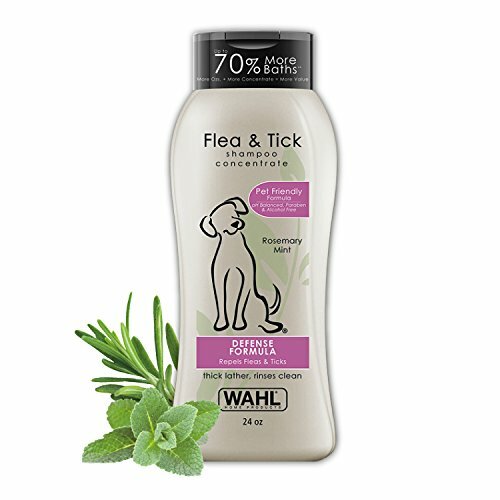 If your dog frequent areas where is at risk of encountering fleas or ticks, or if he currently suffers from a flea infestation, you may want to utilize a shampoo designed to repel or kill these common parasites, such as the one shown below. 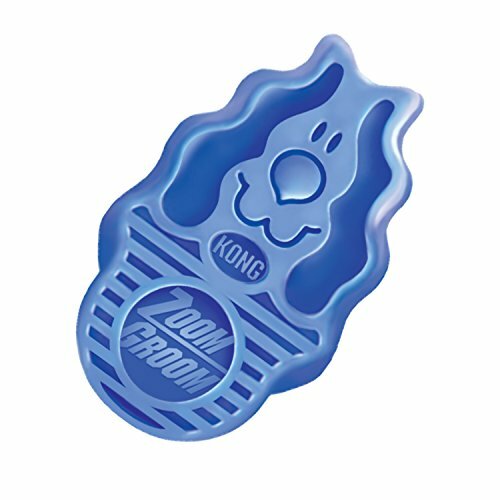 While you can simply use your fingers to massage shampoo through Clifford’s coat, a shampoo brush, such as the Kong ZoomGroom, can increase your effectiveness, as well as make the bath more enjoyable for your dog. After bath time, you’ll want to thoroughly dry your dog off. Using three towels can make this process neater. Place one towel on the floor, where you will have your dog stand as you dry him. Drape the second over your dog to prevent his shaking from sending water flying across your bathroom. Finally, use the third towel to actually dry your dog off. When you bathe your dog, it’s important to protect his eyes, ears, and mouth from water and potentially dangerous bath time products that should not be ingested, or that may cause your dog discomfort. To protect Fido’s face, bath him only from the neck down. Use a warm, wet washcloth to gently wash his ears and face, as opposed to dousing his head with water and soaping it up like the rest of his body. As discussed above, using three towels can make drying Bingo off much easier. Furthermore, keeping him inside until he is completely dry is a wise idea. Doing so helps him stay cleaner, and prevents him from growing too cold if the weather is a bit nippy. 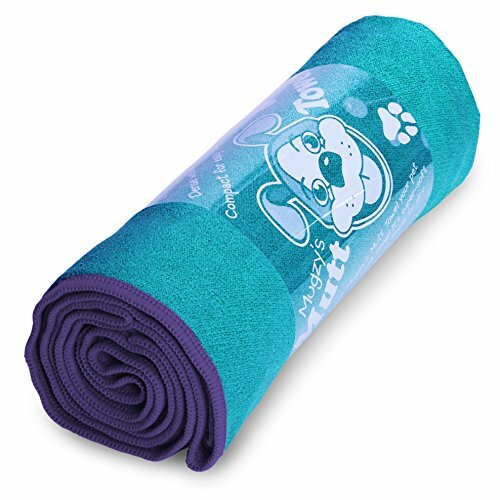 Mugzy's Mutt Towel: Textured 100% Microfiber pet towel absorbs tons of water and won't trap fur. 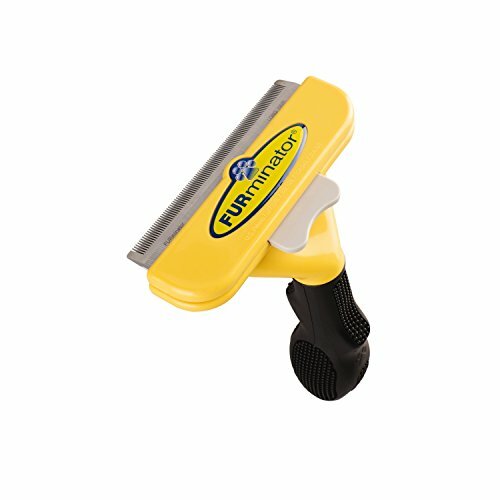 It's super-thin and light, making it easy to dry your doggie after bath time. 28" x 50"